What’s the word on 2015? 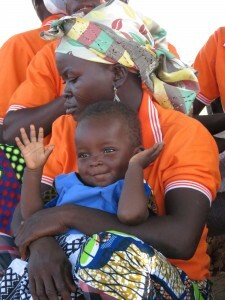 You have sparked incredible change in the lives of children and their families all over the world. We have seen it in the joy returned to children’s lives – once weighed down with adult worries – now going to school and accessing nutritious food. We have seen it in the faces of guardians – watching their children have a healthy childhood – as they themselves are given opportunities to lift their families out of poverty. And we have seen it in communities who are becoming stronger, equitable, and more food secure. In 2015 you continued to support 65,000 children through our core programming – ensuring they are attending school, receiving the nutrition they need to grow up healthy, and experiencing a happy childhood. An additional 150,000 people have received indirect support to help build stronger, more resilient communities for children to grow up in. Your ongoing support has allowed our programs to grow to achieve new funds from the Government of Canada, so that in 2016 we will be directly and indirectly supporting over 300,000 people in Bolivia, Canada, Ethiopia, Ghana and Uganda. 2015 saw the wrap-up of the CHANGE project – a three-year development project which focused on strategies to help farmers build awareness and boost resilience to climate change impacts in 17 communities in northern Ghana. Farmers received agricultural training, weather forecasts and crop information tips via radio, and accessed agricultural inputs like fertilizer and seeds – improving food security for their children for the long-term. The lessons and learnings from the CHANGE project are integral to the new RESULT project, which extends the work in northern Ghana through innovative initiatives. RESULT addresses food security and helps farmers develop sustainable livelihoods in multiple ways, including by building strong market linkages for farmers and empowering women. 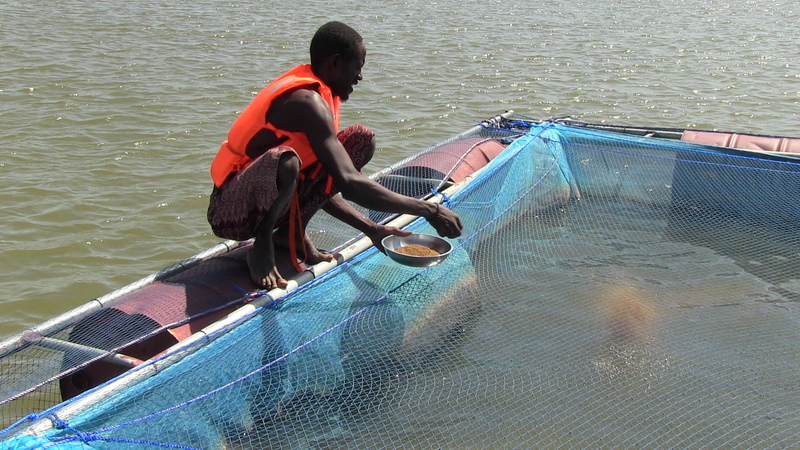 RESULT introduced one of the first aquaculture programs in northern Ghana and works to support farmers in setting up small-scale fish farming operations. Fish is a widely consumed protein in Ghana and is an important opportunity to generate income and provide a significant nutritional source of protein for many poor rural communities. Similarly, RESULT supports bee-keeping as an alternative income generating activity for farmers. The honey produced can be used to sell or feed farmers’ families, while the beeswax can be crafted into artisanal products. Bee-keeping and other market-led livelihood development has also seen great success in Ethiopia, and in particular in the MILEAR project, generously funded by the Canadian government and you – our donors. By strengthening communities and families’ livelihoods, we improve children’s food security and give them greater opportunities to escape the cycle of poverty. In Ethiopia we have continued to build greater depth and impact with our partners and are leading a critical pathway towards improved early childhood education and childhood nutrition, which addresses the specific needs of thousands of children under age five (their most critical years) in project communities. Similarly, in Uganda we have expanded our school feeding programs to reach more children in both ECCEs and primary schools, and we have strengthened our education programs – helping to fight against malnutrition, child marriage and poverty by keeping children (especially girls) in school. In 2015 more women and men in Ethiopia, Uganda, and Ghana gained financial knowledge and independence through Village Savings and Loans Associations. Women – who in many communities are often shut out from accessing financial resources – have been able to access resources and have received business training that has empowered them within their communities and families. Thanks to your support, CFTC has also been able to strengthen and invest in our local partners who work in the communities each day. By building capacity in local partners, we ensure long-term sustainable impact of our work. 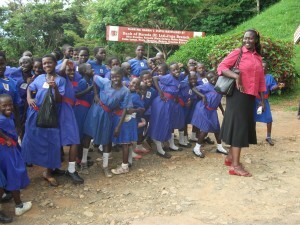 Many of CFTC’s partners were recognized in 2015 for their leadership and impact in the development sector – including our partner HUSLINCI in Uganda who won a first place Tumaini Award for their evolution of the Breaking Barriers to Children’s Access to Education project model, supported by CFTC. 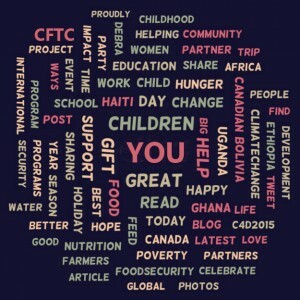 CFTC’s innovative work in Bolivia was also recognized in the Society that Inspires Magazine in a feature reviewing the impact of Canadian NGOs within the country. 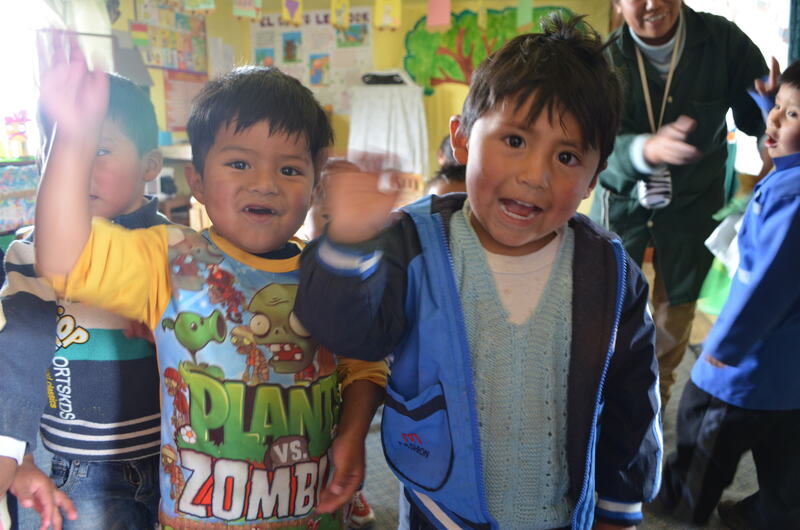 CFTC’s focus in education, food security and capacity building in Bolivia was highlighted – including the implementation of nine Early Childhood Care and Education Centers for children under four and support for primary education in four support centers. 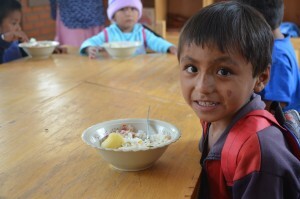 We continue to support Indigenous communities in both Bolivia and Canada through a community-led approach by integrating traditional practices and narratives in food security programming. 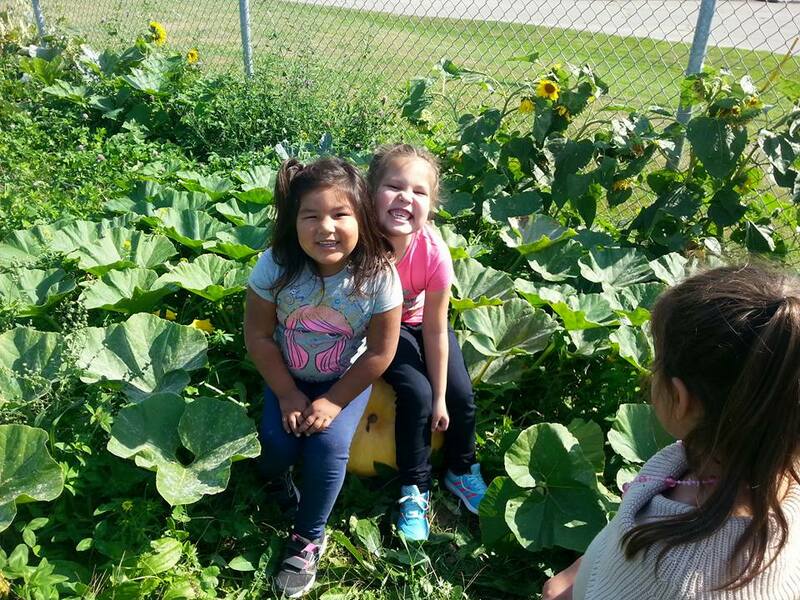 There has been incredible success with our school gardens in both Bolivia and Canada – and this past summer CFTC partnered with Elsipogtog First Nation in New Brunswick to expand their school garden into a full initiative open to all 3,000 community members. The garden quickly became a conduit for children, their parents, elders and the greater community to combat hunger and food insecurity. Through a participatory learning model – and in great alignment with traditional teaching – the community garden acted as a vehicle to increase knowledge about nutrition while teaching important skills that can help families fight against hunger. CFTC’s New Brunswick Program Advisor Cheyenne Mary explained the significance of the community garden: “It becomes a safe space for people to go, because it’s not a classroom with four walls, a ceiling and a floor. 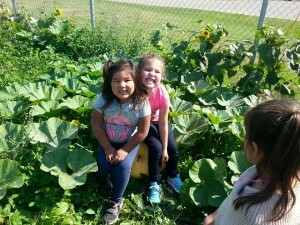 It really enables them to connect to their culture.” The garden has helped empower Elsipogtog First Nation to create significant change in their community with culturally-meaningful solutions. 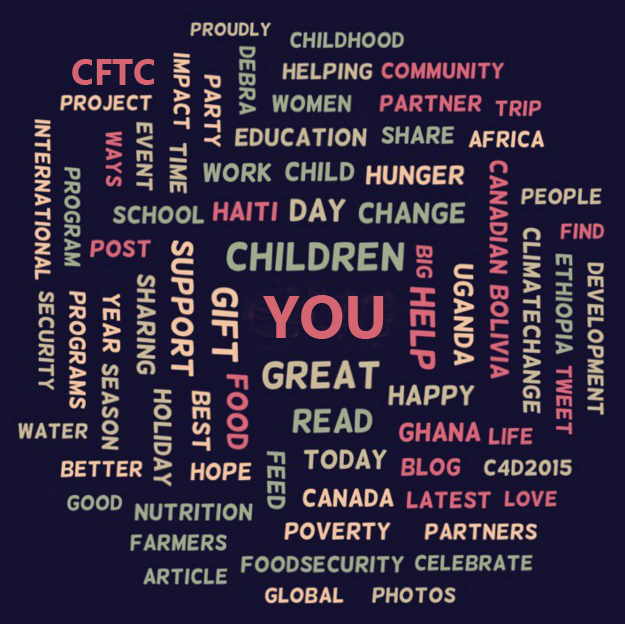 2015 has been an exciting year for us, our partners and our communities, which has given us great hope for the future – and we want to celebrate that with you! Throughout all of this work, you have believed in and supported these communities – knowing that we are all better off in a world where children thrive. And for that, we thank you.